Fat dogs are the norm in America these days. If this doesn't surprise you, you'll be equally unmoved to learn that canine obesity closely mirrors human obesity. And like humans, overweight dogs assume health risk factors ranging from diabetes to coronary dysfunction - not to mention a lifespan shortened by an average of 1.8 years according to dog nutrition experts. ​But you may be pleasantly surprised to know that helping your best friend lose weight is not difficult. Learning a few pointers in the next few minutes about trimming your fat dog can make a big difference in its life and health. Here's what you need to know. 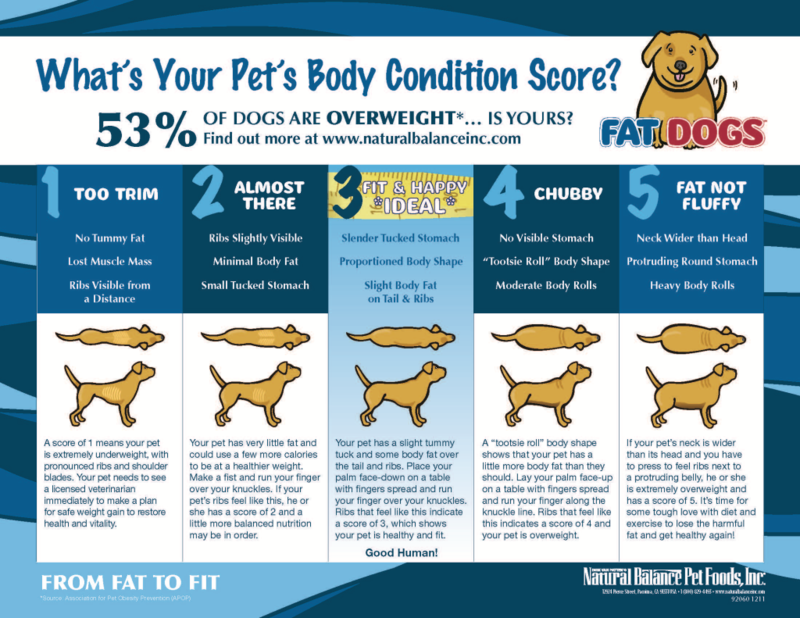 Here's a simple way to tell if your dog is overweight. You should be able to feel your dog's ribs with your hands when you press on its rib cage with your fingers. A dog's ribs shouldn't be covered by a layer of fat. On the other hand, the ribs shouldn't be clearly visible either. This would mean your dog is underweight. The area between the rib cage and the back end is a dog's waistline. When you look at your dog from above, you should see a well-defined waistline. Did your dog pass the test? If not, here are some simple ways to help your dog lose weight. Are You Over Feeding Your Dog? Many people over feed their dog unknowingly. Please read the dog food label making sure you're feeding only the amount suggested for your dog's size and weight. Use the low end of the manufacturer's recommendations since the suggested amounts are usually overly generous. Another option is to switch to a light dog food that's formulated for overweight dogs. These foods are usually lower in fat and higher in fiber. Be prepared though. Switching to a higher fiber diet can cause loose stools until your dog adjusts. To make the transition easier, gradually increase the amount of light food you give your dog while cutting back on the regular dog food. You may also want to explore our cutting edge PrimalixTM Functional Food DropsTM which let you add specific, beneficial, physiologically active food components (herbal nutrients) to wet or dry food. Functional food is any food with health-promoting or disease-preventing properties beyond the basic function of supplying nutrients. Discover how you can "Turn ordinary food into functional food." Are You Giving Your Dog Too Many Treats? If you're like most fat dog owners you're probably giving your dog too many treats. Those little treats throughout the day really add up, especially if your dog is older and less active. What about table food? Many human foods are too high in fat, sugar and salt to be healthy for dogs - and too high in calories. Not only does human food contribute to dog obesity, it can cause gastro-intestinal upset and pancreatitis, a life-threatening condition. Some human foods are also toxic to dogs. If you give your dog human food, choose vegetables and very lean cuts of meat. And don't overdo it. Some dogs are naturally lazy. Left to their own devices they become the human equivalent of couch potatoes. As responsible dog lovers, it's our job to get them moving again. Obese dogs that don't get enough exercise not only put on weight but also lose muscle mass, which can create orthopedic issues. If your dog hasn't been active in a while, take a ten minute walk with your dog each day, gradually increasing the time to thirty minutes daily. If your schedule is so tight you can't find time for a daily walk with your dog, try enlisting the help of a trusted neighbor who might enjoy walking your dog. If no such luck with the neighbor, try Googling "dog walker" for listings of professional dog walkers in your town. Make sure the rest of your family is on board with helping your fat dog lose weight. All your efforts will be in vain if the rest of the family slips your dog human food and other treats under the table. If they want to do something nice for your dog, encourage them to take it for a walk instead. Dog obesity is a growing problem in this country. It's a trend that mirrors ballooning bellies among humans. Our responsibility (and our privilege) is to rescue our precious pets from this certain health risk. Help your dog (and maybe yourself as well) "lighten up" for a healthier, longer life. Pain, Pain, Go Away … (Don’t) Come Again Another Day! 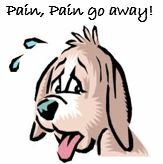 It can be difficult to detect if your dog is in pain because dogs seldom complain and will often adapt their lifestyle to disguise the fact that they’re in agony. 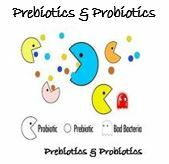 Probiotics and Prebiotics? What is the difference, what do they do and how should we use them?